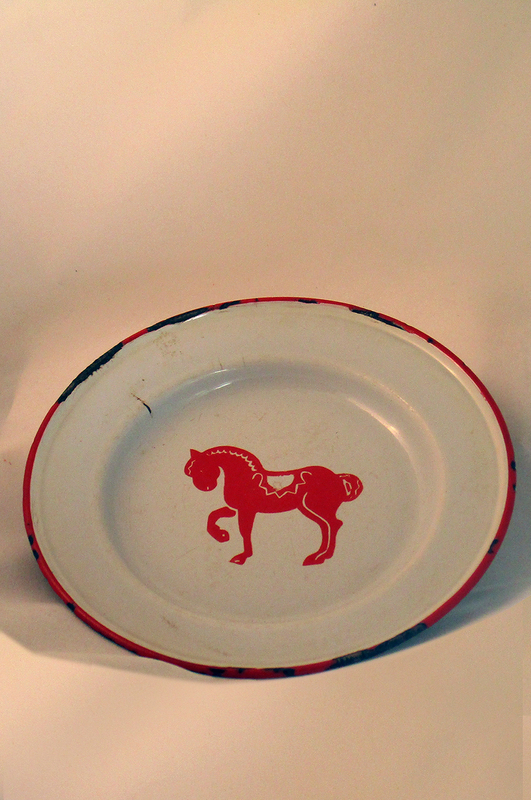 Charming Antique Swedish Enamelware Childs Plate with Red Dala Horse Graphic. 8" in diameter. Natural aged chipped and Rustic.